Have you ever wondered why we say certain things? As a word nerd, I think about it often. For instance, the phrase bless you, said following someone sneezing began as god bless you and was shortened. But why say this after an ordinary human action? The answer is as ridiculous as you’d expect. 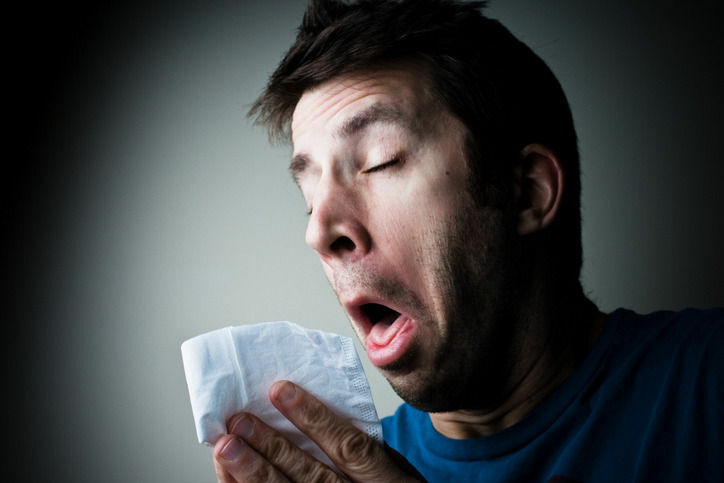 In 590 AD, the time of the plague, yes the plague, it became a custom as one of the first signs of the disease was a sneeze, to ward off the evil spirits that were thought to be the cause of the plague. Even though we now know that the cause of the plague is bacteria carried by rodents, specifically rats, we’re still stupidly clinging to an entirely outdated superstition as a way of being polite. If we say nothing, we’re impolite asshats, but what if you don’t believe in superstitious nonsense? Over the past 2 weeks, I have been conducting a little experiment of sorts. My husband has sneezing issues in the mornings and I’ve been trying to find something to say to acknowledge his discomfort that doesn’t stick in my throat, but that’s unoffensive to the public at large. I do believe I found it. The phrase is PLESS YOU. Because it rhymes, it took my husband until I told him what I was saying to hear it. People will hear what they’re used to hearing, so they won’t be offended,or even notice and you don’t have to feel like a hypocrite . Pless has 2 meanings currently. It’s in the urban dictionary as a “lazy “way of saying please and it’s a medical term meaning a clinical trial in urology. Either way, not offensive and in the case of the medical meaning, just as nonsensical as the original. Previous Post Sick and WTF?